This verse is nestled inside a psalm that is full great meaning and doctrine. The psalmist is talking about the omnipresence and omniscience of God. How that we cannot flee from God’s seeing eye nor experience anything that He is not aware of. If your relationship with God is not right then these truths are not at all comforting. However, when you are living right these verses give the assurance that God is with you regardless of what you are experiencing in life at the moment. At times when you feel like God is far from you, this great psalm brings comfort as a reminder that He is ever present and aware of your problems and needs. Verse 14 praises God because God created the psalmist, as well as each one of us, in a wonderful way. God made us the way we are and for a specific purpose. When we understand that, then we can have peace that whatever ailments or perceived problems we have in life are there because God ordained them. Let’s look at some beautiful truths that we can learn from this short verse. While these truths apply to everyone, only people who have accepted Christ and have become a child of God can truly appreciate all the meaning in these verses. As you grow more in your Christian life you will probably enjoy this verse even more as you look back and see how the Lord has uniquely made you. When you begin to understand the greatness of this verse you can be liberated from so many negative things that keep you from serving God. Are you completely happy with your body and mind? What about your mental health? Take comfort in knowing God has created you the way you are for a reason. You don’t have to feel undue pressure to be like other people because God didn’t make you like other people. This verse uses the word ‘fearfully.’ It is the same word that is used when the Bible talks about the fear of the Lord. It means to have a respect and reverence for God. Or, literally this word can be rendered to be full of respect and reverence (full of fear). You should be thankful and honoring to God for the body and life He has given you. God does not randomly drop people into this world without regard for their needs and situations. The Bible says that He knows the number of hair on our head and He knows that we have real physical needs (Luke 12:7; Matthew 6:25-34). God does care about you. In return you should be thankful for the life and body He has given you. The word ‘wonderfully’ means to be distinct or unique. Though it is often a trite saying, this verse says that God made you special. God has a special purpose and plan for you. The Bible says God formed you (Isaiah 44:24) and created you as His own masterpiece for a purpose (Ephesians 2:10). There are things that God has designed you to do in life. We often hear preachers talking about God’s will and how we ought to do it. Sometimes people are confused as to what that will is. You can read other articles here about knowing God’s will, but let me deal with one aspect of it. That is, the fact that God’s will is perfect and that when you are doing it, you will absolutely love doing it. The first couple of verses in Romans 12 talk about God’s will being good, acceptable and perfect. God’s will is not drudgery. When you understand that God has designed you special for a purpose and that His will is perfect, you will begin to see that it is also good and acceptable to you. It will be something you enjoy doing. The book of Psalms talks of this too in Psalm 37 verse 4. It says to delight in the Lord, or be happy in the Lord. Rest comfortably in Him. When you do that then He will give you the desires of your heart. If you delight in Him then He will give you the right desires. When you have the right desires then He will fulfill those desires in you. When you do His will then what you crave, or desire, most is to please Him. Does that mean everyone will please God in the same way or have the same desires? No. That is where Psalm 139:14 comes into play. God has created you in such a way that you will have passions and desires that are unique to you. What you draw pleasure from doing will be very different than what gives me great pleasure. When I finally understood this, it was liberating. I no longer had to live like other people wanted me to, I only need to live like God wants me to. That means obeying His Word and trusting Him to lead me. Are You Happy With God’s Creation? Have you struggled with the way the Lord made you in some way? Maybe you have physical traits that you feel are not as pretty as another person’s. It could be that your mental capacity is not as high as people you go to school or work with. You need to remember that God made you in a special way and because of that you should be full of awe and respect for the body or mind He has given you. Now, don’t read that to mean we should not try to improve in ways that we can. Let’s be honest: God did not make us fat and lazy. God made most of us with a body that is capable of working hard physically and mentally so that we can serve Him. We shouldn’t blame God because we don’t want to study and try to do better with the abilities He has given us. Like many people, I too struggled with being overweight. God showed me that He did not create me this way. He created me with a good body. I mistreated my body and caused it to be incapable of serving Him to its fullest capacity. I say all that to say this: be thankful for the body God has given you and work to keep it in good working condition so that you can serve your Savior in the way He wants. You can’t fulfill the purpose God has for your life if you mistreat the fearfully and wonderfully designed body He has given you. There are times we are limited in our service for God because we have created situations for ourselves that He never intended. When you begin to understand the greatness of this verse you can be liberated from so many negative things that keep you from serving God. You should take counsel from other people. The Bible says there is wisdom in having many counselors (Proverbs 11:14; 24:6). However, you should not try to live your life in service to God based on what other people think you should do. Learn what God’s will for your life is. When you know what that is and obey it, then you will have great joy in serving the God who designed you to do that special job. I just want to complement you on a fine article. This is definitely an article that is needed now more than ever. What I understand this to mean is that we are all unique, we are all created in God’s image, and no matter what shortcomings we may have, we are what God designed us to be. In this world of plastic surgery, teenage girls starving themselves, sometimes to death, with impossible physical standards being set, more people than ever need to understand this simple fact. I recently read Jack’s column on whether God is male or female, and this also ties into that as well. I thank God that you gentlemen are reaching out to people with timely and useful messages from God, that apply in todays world. Far too often we here of tragedy striking a family because a family member felt they were not worth living, when all along the answer was right at their finger tips! The Bible is without a doubt the number 1 how to manual ever created. 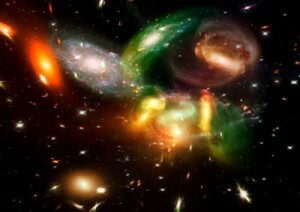 ALMIGHTY’S Creation: how, what, when, where & why????? The World is GOD & It’s Fearfully, Wonderfully & Marvellous Made; Everything is GOD’S Purpose….yes! Male & Female; I AM…EVERYTHING…We ALL Need 2 Heal I AM Land…LOVE is the ONLY ANS. that SHALL Bring GOD’S Paradise. Only ALMIGHTY’S Will..
Hello C.C. Can you tell me why you say that the world is God? God is Spirit and Spirit does not have matter. Love is important, but we must preach the need for repentance and faith first as Jesus said (Mark 1:15-16). Love is not the answer for everything…wrath is an answer to those who reject Christ (John 3:36b). I work as a Pro Pastor in a district looking after six church. Reasently, I’m terminated with a false accusation. I find it hard to understand. Today, the Executive Committee is going to talk with me. When I login to my facebook account. I find out this meaningful article. It really encourage me. I became the best diet for my difficult hour especially this days. Wonderful job David! This was very inspiring for all of us to be the best that we can be for the Lord. God’s timing is always perfect. The sermon at church today reflected these same thoughts. God bless you! Excellent article David. just shows that God gives everyone a purpose in life and its up to the person to figure that out which is not easy but it is also not hard to do. Many people need to be reminded that we have worth because we were created by God, in His image. I especially liked the part where you reminded us that, when we are in God’s will, He will change our desires. No longer will we desire things outside of His plan for us, but our desires will be right in line with what He wants us to do. As you said, this makes living the Christian life exciting. Before I committed fully to following God, I thought that living the Christian life would be boring and I would have to give up everything I liked. However, I found out that that is not so. I have never been happier, or more fulfilled, in my life. It is because I have a saving relationship with God and I seek to be continually in His will. Thank you for this article, David, I think many of us needed to reflect on these truths once again. This was “wonderfully made” to my friend. Well done. I love the commentary for its like my Study Bible and amazingly close to what my Study Bible says. You know your stuff my friend. My compliments. David, thanks for reminding me on how special i’m before God….. Expecting more of your articles. If what you say is true then this verse does not bring happiness, joy or peace into my life. I suffer from depression that is very debilitating. This illness has kept me from doing many things that most take for granted. If I am so wonderfully made then why has God chose to make me this way. I have had this illness all of my life. It is not something that has come about from a lifestyle. I am a christian and do believe the bible but I do believe God has ordained some to salvation and a productive life for him and then He has ordained some to be utter failures such as myself. Needless to say I am unsure of my salvation. Why would a perfect God want a failure. He wouldn’t and He doesn’t. I sense the pain in your words and my heart goes out to you. We live in a sin cursed world in which the perfect things God has designed and created have been corrupted. This is why some people are born with imperfections. This is not God’s perfect plan. However, no one is useless or worthless, God still has a purpose and plan for each of us, we simply must seek His will in our lives. Whether one is a billionaire living in luxury or a poor person living in poverty, God loves us and will bless our lives in ways only He can…but we must lay our lives at His feet for Him to use. I certainly do not know the details of you life, so I can not be any more specific. However, I do know that there must be a church with a loving congregation nearby that would love to know you. The Bible says that God loves us so much that He sent His Son, Jesus Christ, to die on a cross so that we may have a renewed relationship with Him (John 3:16-17). That sacrifice proves that He loves you and me. I urge you to seek out a local church, surrender wholeheartedly to God’s will and guidance, and trust Him to carry you through whatever obstacles you face. I will be praying for you. William, I understand your doubts and frustrations to a degree, though I am certain I can’t understand fully. I do want to offer you encouragement from the Bible. There are many stories of people in the Bible who were not born perfect and who had no choice as to what was going on in their life. However, God worked in and through them to bring glory to Himself. God can do the same thing in your life. I am reminded of the blind man in the Bible. The disciples asked Jesus whose fault it was that the man was born blind. Jesus answered that it was no one’s fault, but happened so that God could get glory. How can God obtain glory through your life? I can’t say for sure. But I can assure you that if you will allow Him to do so you, and those around you, will be amazed. William, i can feel ur pain nd anger. The the truth is God is nerver nd will never be an author of evil, He is rather a good God. Remember the case of the man by the pool of Bethseda?. God loves you, He wants to restore health back unto you, as He did for Kenneth E. Hagin. All He is waiting for is your total surrender to Him. Go back with Trust, Love, Faith in your heart, He has done it before nd He will do it in your life again. You and I shall praise the Lord together. Be blessed, pls do not loose hope hang on to God your maker, he make all things beautiful again. Hi William, I too have struggled with depression that only recently I’ve discovered may be rooted in my brain being somewhere on the high functioning end of autism. All my life I have felt misunderstood, and I have had difficulty interpreting other people. This has resulted in chronic rejection, especially from teachers at school and at church. I take comfort in the fact that God came to earth for me, not so I could “get a life”, but so I can life my life with Jesus by my side as my Savior and everlasting Father. My purpose is to allow Him to love on me, and for me to cherish Him back. It’s simple. God is Immanuel. He is always with me, even in the hard times. He shares every life experience that I have, and He attunes His heart and mind to mine. It’s in that intimate sharing that I can feel connected and have a sense of being “home”…I can have an interactive connection with Jesus. He is so humble. All He wants is my love, not my striving. I am blessed to have gone through this article. I am preparing notes to counsel a spiritually down brother who feels nothing good has ever happened in his life. Nothing seems to be working for him in finances, projects etc. I thank God for allowing me the chance to read through the article and other brethren’s comments. God bless you all and let us keep the faith! We are fearfully and wonderfully made, but our purpose is to be dynamic, changing, and always improving. You shouldn’t always be happy with your body, mind, and mental health if those things have significant problems. Take joy in the fact that you are unique, but never be satisfied with mediocre. Strive for excellence and you will become excellent. Our job is to become more like Jesus, not to remain stagnantly “ourselves” away from Jesus for the sole reason that God made us. Hello, as I laid in bed this verse came to me and I was wondering in what context was the word ‘fearfully’ used? knowing that ‘fear’ means an unpleasant emotion caused by the belief that someone or something is dangerous, likely to cause pain, or a threat. Please I would like it if you can possibly explain the use of that word in this verse. Hello Rhona…let me explain that the fear of God is not a fear of being struck dead but a deep, abiding, reverence or respect of God. The rate of crime is low because criminals fear being caught. It’s not the kind of fear that disables them from every day life or activities though. The fear you gave was from a dictionary but the fear of God is what Proverbs 1:7 declares, “The fear of the LORD is the beginning of knowledge.” Until we understand who God is and develop a reverential fear of Him, we cannot have true wisdom. True wisdom comes only from understanding who God is and that He is holy, just, and righteous. Deuteronomy 10:12, 20-21 records, “And now, O Israel, what does the LORD your God ask of you but to fear the LORD your God, to walk in all his ways, to love him, to serve the LORD your God with all your heart and with all your soul. Fear the LORD your God and serve him. Hold fast to him and take your oaths in his name. He is your praise; he is your God, who performed for you those great and awesome wonders you saw with your own eyes.” The fear of God is the basis for our walking in His ways, serving Him, and, yes, loving Him. Having said that, for the unbeliever, and I pray you are not an unbeliever, the fear of God is the fear of the judgment of God and eternal death, which is eternal separation from God (Luke 12:5; Hebrews 10:31). For the believer, the fear of God is something much different. The believer’s fear is reverence of God. Hebrews 12:28-29 is a good description of this: “Therefore, since we are receiving a kingdom that cannot be shaken, let us be thankful, and so worship God acceptably with reverence and awe, for our ’God is a consuming fire.’” This reverence and awe is exactly what the fear of God means for Christians. This is the motivating factor for us to surrender to the Creator of the Universe. I don’t agree that the purpose God picked for you you will necessarily like. Take Moses and Jonah for example. Moses sucked at, and hated public speaking, yet God asked it of Him. When he still whined and complained against God, God got angry and gave the speech job to Aaron instead. Time and time again we see Moses groaning against God with this stiff necked and burdensome people that you’ve made me in charge of. Jonah, likewise, ran away because he hated God’s purpose so much. And even when he finally did God’s purpose, we see that it wasn’t with joy. We never get to see if Jonah ever changes his mind about the people he wanted destroyed, but we do see him moping about the task God used him for. Jeremiah was a depressed fellow. Everyone hated him, and everyone hated him because his purpose was to give woeful speeches to Israel, he sure didn’t enjoy that purpose very much. I could go on and on. God’s plans aren’t always enjoyable. Hi, I read this commentary on “fearfully and wonderfully made” . I am Catholic Christian serving the parish as head of the ministry which require most of the time dealing with people in the community. I retired from my job to give ample time in this service. For 9 years I am into it and in so doing, I have less time to address my finances and I am now in heavy debts, loss my investments, less time with my growing family. I am planning to quit or resign as head of the ministry (but be a member only) to more or less free up some time to address my finances…work again. The thrust is in me that I am in heavy and thorough thinking of this plan. I know God has chosen me and has good plan for me and I’ll continue praising and serving Him. I have not discuss it yet with our Parish Priest for clarity of my plan and direction. Please advice. Psalm 139, 14 “I will praise you, for I am fearfully and wonderfully made”. Have a good day and God bless. My prayers are for you my friend. I am so sorry for this burden. Your faith remains strong. thank you for this article. I hope to share it with young girls who may not think they are fearfully and wonderfully made.